Alison Maccarty, manager of our Lymington travel agents, sailed a section of the Danube on board the Tauck ship MS Treasures. Find out if the ship lives up to its name and learn about the fantastic places to visit along this famous waterway. Check-in was completed and boarding passes printed in advance, which led to a quick luggage drop at Gatwick, however, the flight was an hour late in taking off. The crew soon came round with refreshments and duty-free items to purchase. On arrival at Vienna Airport for the return journey, I joined a queue waiting for the check-in desk to open. The flight again was an hour late. The crew came round soon after take-off with refreshments but, unfortunately, they ran out of hot/cold sandwiches very quickly. I was sat in row 7 and they had run out by the time they got to me. This was very disappointing for a lunch time flight which was also late. Duty-free purchases were offered. On both flights, so many passengers boarded with what appeared to be very large carry-on bags/suitcases. This meant that the overhead lockers soon became full and the crew had a job finding places for some bags. The Tauck educational trip was a 4-night cruise on the Danube but, as I had not been to Budapest before, I booked a one-night pre-cruise stay at the Carat Boutique Hotel, which is situated right in the heart of the city. The room was lovely and the breakfast was OK, but no frills. The taxi journey from the airport took 30 minutes. Fortunately, the roads were not too busy as it was a Sunday afternoon. A twenty-minute walk from the hotel to MS Treasurers the following morning was easy and, once on board, I was immediately shown to my cabin. MS Treasures is one of Tauck's Jewel Class ships, with 59 cabins and the capacity for 118 passengers. Some similar-sized vessels carry up to 27% more passengers, meaning we had plenty of space to ourselves. Each cabin is custom-designed to the highest standards for quality and comfort. The bedding was very sumptuous with terry cotton bathrobes and slippers; not to mention Molton Brown toiletries. The size of the cabin was very good and the decor was easy on the eye. My cabin had a French balcony, which meant I could enjoy some fresh air, even if it was November. I arranged my own flight but the trip included 4 nights with all meals and beverages. A leisurely 20-minute stroll from the Carat Boutique Hotel in Budapest led me to the banks of the Danube. Along the shore of the river are many restaurants with outside areas, complete with patio heaters as well as inside seating too. The views were stunning and I did brave the elements to sit outside and enjoy a lovely three-course meal. On board, there are four very knowledgeable Tauck experts to make your river cruise a holiday to remember. For them, nothing was too much trouble. All excursions were included, such as the scenic coach tours of both Budapest and Vienna with time off the coach to visit sites and take photos. In Bratislava, I went on a walking tour of the old cobblestoned city with a local guide who spoke perfect English and was very informative. There was some free time at the end of the tour to further explore Bratislava on your own if you wanted. In the beautiful Wachau Valley, which is considered one of the post picturesque areas along the Danube, is the small town of Durnstein. 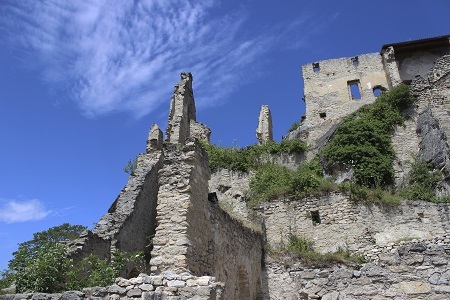 The town itself is very scenic with castle ruins and the stunning white and blue Baroque tower of its monastery dominating the skyline. The views from the top of the town were very impressive. A walk through the town, dotted with small shops and restaurants together with small hotels, is a must in order to take in the character. After some free time, I visited a local wine cellar to sample some of the region`s best-known varieties. 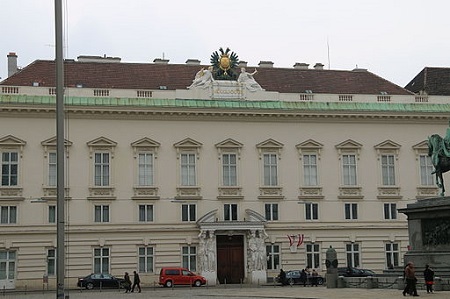 In Vienna, I dressed up for an evening at the very elegant Palais Pallavicini, a privately owned 18th-century palace right in the heart of the city. We sampled an imperial musical evening, complete with ballet and a delicious three-course meal. What an experience!